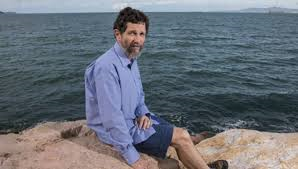 Dr. Peter Ridd, one of the world’s foremost authorities on climate and its effects on coral reefs, did what scientists are supposed to do. He questioned scientific claims and studied them. Ridd found that the Great Barrier Reef was thriving and was not endangered by catastrophic-manmade-global-warming-by-CO2. Unfortunately, skepticism and adherence to the scientific method is frowned upon in modern universities–especially in the area of climate research. Ridd was subjected to a series of disciplinary charges–and finally fired–by his employer James Cook University. He was accused of bringing scientific institutions into disrepute. He was ordered to keep his mouth shut. He was ordered that he could not even use satire to jest about the accusations against him. Yesterday an Australian court ruled in Ridd’s favor on all 17 counts of his lawsuit against the University. See here.